Canadian Public Schools hired a new boys basketball coach at Monday's school board meeting. Gary Hendrix was hired to replace David Smith, who is leaving to become the new superintendent at Bokoshe after three seasons as Canadian's head boys coach. Hendrix retired from Fort Gibson in December to deal with some personal issues, according to the coach, before accepting the job at Canadian. He graduated from Fort Gibson in 1976 and spent two stints as the boys basketball coach at his alma mater. He said he will still be retired but will be compensated by the school and envisions he would teach a math class or two before focusing on athletics. "I missed coaching," Hendrix said. "I missed being around young men and athletes. I missed being around co-workers. So, I set out to look for something that maybe could fit my schedule and still be retired." 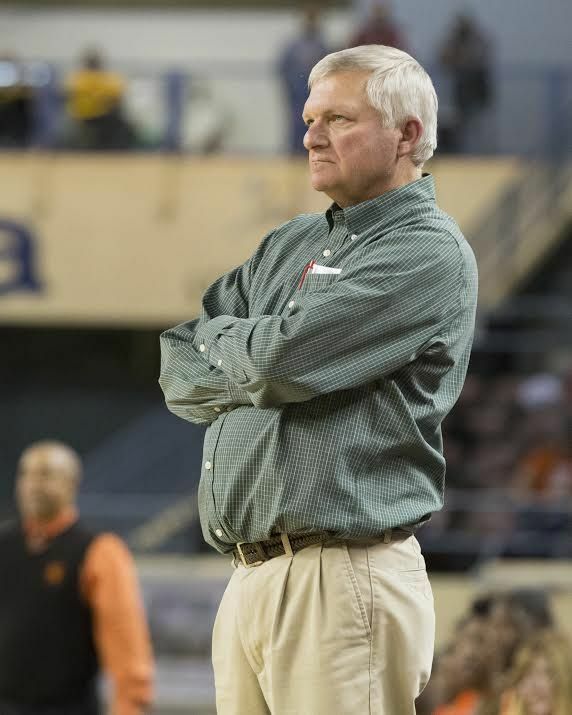 Before he came to Fort Gibson, Hendrix coached for five season at Mounds and led the team to the Class 2A boys basketball state championship in 1985. He left that same year to take the job at Fort Gibson, his alma mater. He took some time off from coaching between 1998 and 2004, though he remained as the athletic director, before coming back to coach starting in the 2004-2005 season. He later took the Tigers to the Class 4A state tournament eight times and the state championship games in 2016 and 2017. Fort Gibson had never been to the basketball state championship game prior to 2016. "It was very special — very, very special," Hendrix said. Hendrix said he doesn't get hung up too much on the losses in the state finals. The Tigers lost in 2016 to Douglass — a team he thought was athletically superior — and in 2017 to Kingfisher — which he believes Fort Gibson could've beaten six of 10 times. He also coached Fort Gibson to a Class 4A boys golf state championship in 2009 and a Class 4A girls golf state title in 2016. Hendrix has accumulated 619 wins as a basketball coach and has had 12 state tournament appearances. Todd Dickerson had been his assistant coach at Fort Gibson before taking over the head coaching role this past year, Hendrix said. Hendrix played shooting guard at Fort Gibson and point guard at Northeastern State University. He played both baseball and basketball as a freshman at Connors State College before playing just baseball at Connors. Hendrix transferred to NSU and played only basketball afterward. He credits a number of people influencing him into becoming a coach. His father, Chester, played basketball in high school and later coached the sport. His mother, Kathryn, also played basketball at the prep level and was an elementary educator. Another influence in his family was his older brother, Don, who was the head football coach at Hilldale from 2002 until his untimely death in March 2010. The younger Hendrix had to turn around and coach Fort Gibson in the state quarterfinals two days after his brother's passing. The Tigers lost, 62-61, in overtime. Gary Hendrix said he would not have coached had Fort Gibson won, as Don Hendrix's funeral was the next day. He spoke to Canadian superintendent Michael Broyles on Tuesday and made a point that he wanted to get to town and meet the Cougars. Hendrix said he is familiar with the Pitt 8 and how big of a deal it is. When he was at Mounds, he coached against Savanna head coach Brian Brown when Brown was a player under his father, Joe. "I've gotten to know Coach (Joe) Brown over the years, and I know Brian does a good job — so I know all those guys down there do a good job," he said. "So, it'll be exciting to be a part of the Pitt 8." Canadian finished 16-10 this past season, won a district championship and finished in third place in January's Pitt 8 Conference Tournament. "We will have high expectations," Hendrix said. "I'm excited about the opportunity and I think we have a chance if the kids are willing to work and put in the time and effort, and I know they've done well and had a great year last year," Hendrix said. "We want to build on that and build on what Coach Smith has done with them and I'm just excited about the opportunity to see where we can be."